New Mexico Municipal Decriminalization Initiatives Halfway There on Signatures. Decriminalization initiative signature-gathering campaigns in Albuquerque and Santa Fe are at the halfway point in terms of signatures gathered. Two groups, Progress Now New Mexico and Drug Policy Action, the campaign arm of the Drug Policy Alliance, are leading the effort. The campaigns reported having half the 5,673 signatures needed in Santa Fe. They also need 11,203 signatures in Albuquerque; organizers say they are more than halfway there in the Duke City as well. Minnesota Governor Names 16 to Medical Marijuana Task Force. Gov. Mark Dayton (DFL) has named the members of a state task force charged with monitoring the effectiveness of the state's new limited medical marijuana law. Included are four patients or their parents, four law enforcement entities, four substance abuse treatment providers and four health care providers. It also includes two lawmakers each from the House and Senate, as well as the commissioners of Health, Human Services and Public Safety. Click on the link for a list of members. Hemp Industries Association Clarifies That CBD Extracts Are Not "Hemp Oil." The trade group the Hemp Industries Association has released a statement emphasizing that cannabidiol (CBD) extracts are not "hemp oil" and warning against misbranding them as such. The CBD extracts are made from marijuana flowers for medicinal purposes, while hemp oil, produced by pressing hemp seeds, is a food item containing only tiny amounts of CBD. Click on the link to read the full statement. 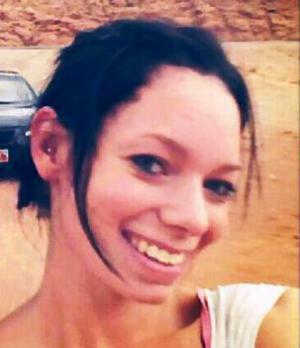 First Woman Arrested Under Tennessee's New Law Criminalizing Pregnant Women Who Use Drugs. A 26-year-old Monroe County woman has been charged with assault on her fetus for using methamphetamine shortly before she gave birth under a new law that allows prosecutors to press assault and child endangerment charges against women who use drugs. Under that law, "a woman may be prosecuted for assault for the illegal use of a narcotic drug while pregnant, if her child is born addicted to or harmed by the narcotic drug." But neither doctors nor prosecutors have shown any harm to the woman's newborn baby. Tennessee ACLU Seeking to Challenge New Law Criminalizing Pregnant Women Who Use Drugs. The ACLU of Tennessee is currently seeking plaintiffs to challenge the new law criminalizing pregnant women who use drugs. The law is the first of its kind in the country. "This dangerous law unconstitutionally singles out new mothers struggling with addiction for criminal assault charges," said Thomas Castelli, Tennessee ACLU legal director. "By focusing on punishing women rather than promoting healthy pregnancies, the state is only deterring women struggling with alcohol or drug dependency from seeking the pre-natal care they need. ACLU-TN stands ready to challenge this law and encourages any woman concerned about the impact this law will have on her to contact us." Click on the link for more information. Pennsylvania Releases Guidelines for Prescribing Opiates. State officials and the Pennsylvania Medical Society have released new voluntary opiate prescribing guidelines as part of an effort to reduce overdose deaths. The guidelines are aimed at family practice doctors who are not pain treatment specialists. A University of Wisconsin pain policy specialist, James Cleary, said the guidelines were "very responsible," but raised concerns that opiates remain available for those who truly need them. Task force members responded that finding the proper balance was critical. St. Paul SWAT Drug Raid Scores Bong, Grinder; Leaves Two Dogs Dead. 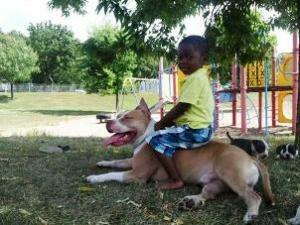 A St. Paul, Minnesota, police SWAT team executing a no-knock search warrant at a family home burst through the front door without notice at 7:00am and promptly shot and killed the family's two pet pit bulls. "The first thing I heard was 'boom,'" said homeowner Larry Lee Arman. "Bop, bop, bop, bop, bop. Right in front of us. I was laying right there and I really thought I was being murdered," he said "I don't want to say by who. I thought it was, like, the government." Police said they thought they were entering a dangerous environment and had a right to eliminate potential threats with lethal force, but Arman said he wasn't a dangerous drug dealer, only a pot smoker. The SWAT team's haul seems to bear him out. They seized only "clothing, a glass bong, and suspected marijuana remnants in a metal grinder." New York Times Takes a Look at Barcelona's Cannabis Clubs. The New York Times has a lengthy profile of Barcelona's burgeoning cannabis social club scene. It reports that the clubs, where members may buy and consume marijuana, now have 165,000 members, and that they are creating marijuana tourism. Officials are concerned. Barcelona Police Arrest Cannabis Club Leaders. Police in Barcelona Friday arrested the president and at least three other members of the city's cannabis club federation FEDCAC. The group said it was not told why they were arrested, but other Spanish press reports said it was on money laundering charges. The bust comes as the city tries to crack down on the burgeoning clubs, which are legal under Spanish law, but have been testing the limits. Retail Marijuana Sales Begin at Noon Tuesday in Seattle. The first legal retail marijuana sale in Seattle will take place at noon Tuesday, the owner of Cannabis City says. But the first pot sold legally in Washington state may actually be purchased in Bellingham, where Top Shelf Cannabis says it will be open at 8:00am. DC Mayor Calls for 4th of July Boycott of Maryland Shore to Protest Congressman's Move to Mess With City's Decriminalization Law. DC Mayor Vincent Gray (D) is joining DC activists in calling for city residents to not spend their holiday weekends in Ocean City or St. Michaels, Maryland. That's the area represented in Congress by Rep. Andy Harris (R-MD), who authored a successful amendment to a House budget bill that would effectively overturn the District's decriminalization law. DC residents who want to enjoy the beach should instead go to Rehoboth Beach, DE, or Chincoteague Island, VA, instead, Gray suggested. North Carolina Governor Signs Limited Low-THC, High-CBD Medical Marijuana Law. Gov. Pat McCrory (R) has signed into law a bill that will allow people suffering from certain epilepsy conditions to use cannabis extracts containing less than 0.3% THC and more than 10% CBD. But only neurologists in a pilot study may recommend it. Georgia Governor Holds Off Welfare Drug Testing. Gov. Nathan Deal (R) has announced that even though a new law to drug test welfare recipients went into effect Tuesday, he will delay implementing it until a federal appeals court rules on a similar Florida law. But the Florida law mandates suspicionless mandatory drug testing, while Georgia's law, House Bill 772, only requires drug testing upon suspicion of drug use, so some critics are wondering if something else is at play. The Georgia law also had a food stamp applicant drug testing provision, but that part has already been nullified by the US Department of Agriculture, which runs the food stamp program. California Fair Sentencing Act Wins Final Assembly Committee Vote. The California Fair Sentencing Act (Senate Bill 1010) was approved by the Assembly Appropriations Committee on a 12-3 vote Wednesday and now heads for an Assembly floor vote. Sponsored by Sen. Holly Mitchell (D-Los Angeles), the bill would correct the sentencing and other disparities between crack and powder cocaine. The bill has already been approved by the Senate. US Indicts Three Peruvian Shining Path Leaders on Drug, Terrorism Charges. Three leaders of the Peruvian Shining Path guerrilla group have been indicted in New York on drugs, weapons, and terrorism charges. They are accused of cocaine trafficking and committing terrorist acts against Peruvian -- not American -- civilians and military personnel. They are Florindo Flores Hala, also known as Comrade Artemio, and Victor and Jorge Quispe Palomino. Flores Hala is in custody, but the Quispe Palomino brothers are not. Among other things, they are charged with providing material support to a terrorist organization, i.e. themselves. ACLU Sues Massachusetts SWAT Teams for Refusing to Release Public Records. The ACLU of Massachusetts has filed a lawsuit against SWAT teams in the state after they refused to release records sought in a freedom of information request. The SWAT teams are making the novel legal argument that they are not required to comply because the law enforcement councils that operate them are not public entities, but private, not-for-profit groups. Click on the link for a lengthy article on the issue. 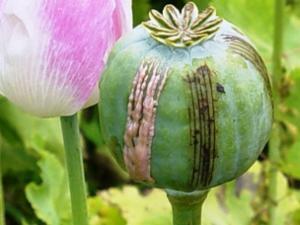 Afghanistan's Central Asian Neighbors Complicit in Drug Trade, Report Says. About the only substantive cooperation between Afghanistan and its Central Asian neighbors comes in turning a blind eye to the opium and heroin trade, according to a new report from Afghanistan Analysts. The report is Between Cooperation and Insulation: Afghanistan'sa Relations With the Central Asian Republics. 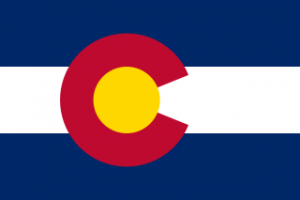 DPA Issues Report on Six Months of Legal Marijuana Sales in Colorado. Crime is down, tax revenues are up, and the marijuana industry is generating thousands of new jobs in Colorado, according to a new report from the Drug Policy Alliance. The report is Status Report: Marijuana Regulation in Colorado After Six Months of Retail Sales and 18 Months of Decriminalization. Pennsylvania Senate Committee Approves Medical Marijuana Bill. The state Senate Law and Justice Committee voted unanimously yesterday to approve Senate Bill 1182, which would allow qualified patients to obtain marijuana through dispensaries, but not grow their own. Neither could patients smoke their medicine, but they could use edibles or vaporize it. Now, the bill is on to the Appropriations Committee and, if it passes there, a Senate floor vote. Companion legislation in the House has yet to move. Tulsa Medical Marijuana Petitioners Say Tulsa Cops Backed Off After They Went Public. Signature-gatherers for the Oklahomans for Health medical marijuana initiative report they are no longer being harassed by Tulsa Police after they went public with their complaints. Police had, on several occasions, stopped and investigated petitioners, at least twice after purportedly receiving complaints they were selling or smoking marijuana. The group hasn't had any formal response from Tulsa Police or city officials, but they are no longer being harassed, they said. Mississippi Food Stamp Drug Testing Implementation Delayed. A Mississippi law approved this year that would require food stamp applicants to be subject to drug testing is being delayed. It was supposed to go into effect July 1, but will be held up pending a public hearing set for July 22. The delay comes thanks to ACLU of Mississippi and the Mississippi Center for Justice, which challenged the start-up on grounds that it violated the state's administrative procedures law. Michigan Governor Signs Package of Meth Bills. Gov. Rick Snyder (R) Thursday signed into law three bills increasing the criminalization of methamphetamine users and producers. One makes it a crime to purchase pseudoephedrine knowing it will be used to make meth, another makes it a crime to solicit someone else to do so, and the third specifies that the second mandates a 10-year prison sentence. Click on the link for more bill details. Are the Latin American Drug Cartels on the Wane? Council on Hemispheric Affairs analyst Claudia Barrett has penned a provocative analysis suggesting the era of the cartels may be coming to an end. The piece is The Breakdown of Cartel Culture -- An Analysis. 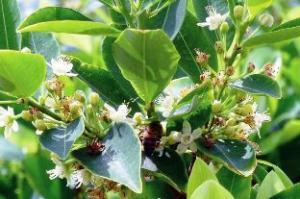 Reductions in Coca Cultivation Don't Necessarily Mean Less Cocaine. The Global Post has a think piece on the reported decline in coca production and why it doesn't necessarily mean cocaine supplies are decreasing. Click on the link to read it. Libya Hash Bust Sparks Deadly Battle. A hash bust in Benghazi last Saturday erupted into a pitched battle when armed gunmen attacked government forces who were destroying a major stash of hash seized from a cargo ship. At least seven people were reported killed. Government officials accused Al Qaeda of being involved. Tunisia Will Reform Its Drug Laws. Tunisia is going to revamp its drug laws, a vestige of the Zine El Abidine Ben Ali dictatorship. The North African country has some 25,000 people in prison for drug offenses. Current laws don't differentiate between hard and soft drugs and require mandatory minimum prison sentences for any drug offense. A commission is expected to submit to parliament this summer an amended law that does away with the mandatory sentences of one-to-five years for drug possession. New Zealand Poll Has Majority for Marijuana Reform. A majority of New Zealanders polled in a recent survey support reforming the country's marijuana laws. The New Zealand Herald-DigiPoll had 32% supported decriminalization and another 22% wanting it completely legalized, while 45% were opposed to any reform. Even among members of the ruling National Party, which opposes reform, 45% supported decrim or legalization. New Approach Oregon Legalization Initiative Now Has More Than 100,000 Signatures. Only yesterday, we reported that just before the weekend, the New Approach Oregon legalization initiative had handed in some 83,000 raw signatures, but that proponents would need more than 100,000 raw signatures to feel comfortable that they will actually attain the 87,213 valid signatures needed to qualify for the November ballot. Now, the campaign reports that it has more than 100,000 raw signatures and will continue signature-gathering until the July 3 deadline. It looks like Oregon is about to join Alaska as states where residents will vote on marijuana legalization this fall. Thirty Congressmembers Call on HHS to End Roadblocks to Marijuana Research. Thirty members of Congress led by Rep. Earl Blumenaur (D-OR) have sent a letter to Health and Human Services Secretary Mathews Burkwell calling on her to make the process for obtaining marijuana for research purposes less onerous. California Assembly Committee is Debating Medical Marijuana Regulation Bill. A bill that would create the first statewide regulation of medical marijuana is being heard in the Assembly Business, Professions and Consumer Protection Committee today. Senate Bill 1262, sponsored by Sen. Lou Correa (D-Santa Ana), has already passed the Senate. Florida Governor Signs Limited CBD Medical Marijuana Bill. Gov. Rick Scott (R) Monday signed into law the "Charlotte's Web" bill (Senate Bill 1030), which allows a small number of patients to use high-CBD, low-THC cannabis oils for the treatment of epilepsy or cancer. New York Medical Marijuana Fight Going Down to Last Minute. Medical marijuana proponents continued to do battle with Gov. Andrew Cuomo (D) over the Compassionate Care Act as the state's legislative session draws to a close. Legislators have amended the bill to address Cuomo's concerns, but patients and providers expressed outrage over Cuomo's "attempt to derail the legislation." Cuomo has called for eliminating many medical conditions from eligibility for medical marijuana, as well as imposing onerous restrictions on physicians. Another obstacle is the Senate's GOP leadership, which could block a floor vote. The session ends on Thursday. Oklahoma Initiative Signature-Gatherers Complain of Harassment by Tulsa Police. Signature-gatherers for the state's medical marijuana initiative say that on at least four occasions, Tulsa Police have shown up to harass them. Police asked signature-gatherers to leave, then, when they asserted their right to petition, began asking for identification and doing background checks on them. Tulsa Police, for their part, said they had records of two calls reporting that signature-gatherers were selling marijuana. But no one was arrested for selling marijuana or anything else, and the campaign group Oklahomans for Health said its people were not selling or advertising marijuana. The group said it has asked the ACLU of Oklahoma for assistance. Methadone Advocates Warn of SAMHSA Patient Confidentiality Threat. A proposed Substance Abuse and Mental Health Services (SAMHSA) regulation that would end the exclusion of methadone treatment records from electronic health records is raising concern among methadone advocates. They say methadone patients suffer from stigma and that the records of their treatment should stay protected. Click on the link for information about how to have some input on the decision-making process. Florida Governor Signs Bill Targeting New Synthetic Drugs. Gov. Rick Scott Monday signed into law House Bill 697, which adds six new synthetic drugs to the list of criminally banned substances. The new synthetics targeted all appear to be phenethylamines. South Dakota Drug Arrests Up More than 40% Last Year. Although overall arrests were only up slightly last year, drug arrests in South Dakota jumped more than 40%. Law enforcement is saying the big jump is due to the increased presence of meth and other drugs in the state's largest cities, Sioux Falls and Rapid City "Certainly more people have been arrested for drug offenses," Attorney General Marty Jackley said. "Part of that is attributable to more people using controlled substances." Drug arrests accounted for one out of six of all arrests in the state last year. More people were arrested for drugs than for DUI, assault, or larceny. New Orleans Police Department Loosens Past Drug Use Policies. Under a policy change approved Monday, past drug use is no longer an automatic disqualifier for being hired as a New Orleans police officer. Now, applicants can be hired if that have not used marijuana or prescription pills within the last three years and most other drugs within the last 10 years. The brings the NOPD in line with the FBI and other major city police departments. Drug Reformer, Peace Negotiator Juan Manuel Santos Re-Elected President of Colombia. Juan Manuel Santos has won reelection as president of Colombia in a race against a rightist candidate who criticized his peace negotiations with the leftist guerrillas of the FARC. 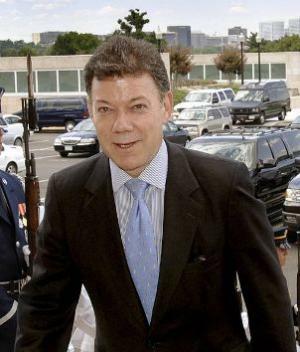 Santos has been a loud voice for drug reform on the national and international stages. Bermuda Approves Drug Testing of Parliamentarians. After rancorous debate, Bermuda's parliament has approved a proposal to require drug testing of parliamentarians. MPS can test positive for marijuana three times before they are suspended; for other drugs, it's one time. What Does the Dance of the Peruvian Drug Czars Mean? Peruvian President Ollanta Humala recently fired hard-line DEVIDA head Carmen Macias, replacing her with former Defense Minister Luis Alberto Otarola. Humala also backed away from a controversial coca eradication campaign about to get under way in the Apurimac-Ene-Mantaro River Valley (VRAEM) that faced strong local opposition. Washington Office on Latin America analyst Coletta Youngers has written an analysis of what it all means, both domestically and internationally. Click on the link to read her piece. 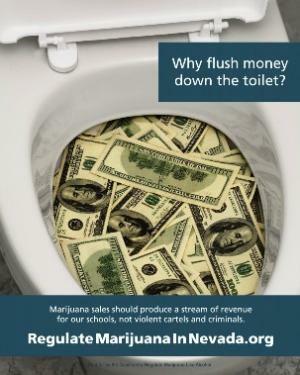 Nevada's Largest Newspaper Endorses Legalization Initiative. The Las Vegas Review-Journal, by far the largest circulation newspaper in the state, has endorsed the state's fledgling legalization initiative, which has set its sights on 2016. Click on the title link to read the Sunday editorial. California Sen. Feinstein Opposes Cutting Federal Funds for Medical Marijuana Raids. Just hours after the US House approved an amendment that would block the Justice Department and the DEA from using taxpayer funds to go after medical marijuana providers in states where it is legal, Sen. Dianne Feinstein (D-CA) said that "if a similar amendment were offered in the Senate, I would strongly oppose it." She said that while she sympathizes with patient needs, "rogue medical marijuana dispensaries, which require little or no medical bona fides and are prevalent throughout California, present major challenges for communities across the country." The 80-year-old politician credited the feds with closing more than 400 "rogue dispensaries" and worried that "the House amendment would prevent these critical enforcement activities from continuing." Iowa Governor Signs Limited CBD Medical Marijuana Bill. Gov. Terry Branstad (R) last Friday signed into law Senate File 2360, which will allow people suffering seizure disorders to use high-CBD cannabis oil with a neurologist's recommendation. Illinois Senate Approves Medical Marijuana for Minors, People With Epilepsy. The state Senate last Friday approved a bill that would allow minors and people of all ages suffering from epilepsy to use medical marijuana. The legislation is Senate Bill 2636. It has already passed the House and now goes to the desk of Gov. Pat Flynn (D). Tennessee Governor to Unveil Plan to Address Pain Pills Tomorrow. Gov. Bill Haslam (R) will announce tomorrow a seven-point plan to address rising levels of prescription opiate use. One official said drug treatment will be a key component. In recent years, Tennessee has enacted prescription monitoring legislation and cracked down on doctors accused of over-prescribing opiates. Just last month, a committee of physicians appointed by the health commissioner agreed on new prescribing guidelines that set limits on daily doses doctors can prescribe. The program to be announced tomorrow is supposed to have seven points. Stay tuned. Homicide Charges for Heroin Overdoses Rise in Wisconsin, But…. In a fine example of investigative journalism, the Gannet Wisconsin Investigative Media Team has released an analysis of the increasing use of homicide charges in heroin overdose cases in the state. Under Wisconsin law, anyone who makes, sells, or delivers a controlled substance that leads to an overdose death can by charged with first-degree reckless homicide by drug delivery. The report finds the number of such prosecutions spiking, but that sentences all over the place and the likelihood of being prosecuted depends largely on which county you are in. A good read. In Warren County, Kentucky, the Drug War Dominates the Court Docket. The latest batch of indictments is out from the Warren County grand jury in Bowling Green, and more than half of them are for drug offenses. Nineteen people were indicted, 11 of them for drug offenses. There were four for possession of meth precursors, three for drug trafficking, two for marijuana trafficking, and one each for meth manufacture and drug possession. There was also one assault, one grand theft, and some drunk driving and "flagrant nonsupport" charges. Drug charges accounted for 58% of all the indictments. Peru President Backs Off on Forced Coca Eradication in the VRAE. In a televised speech Sunday night, Peruvian President Ollanta Humala said he is indefinitely postponing plans to forcibly eradicate coca crops in the valleys of the Apurimac, Ene, and Mantaro Rivers (VRAE). The announcement came just days after Humala fired Carmen Macias as head of the anti-drug agency DEVIDA. 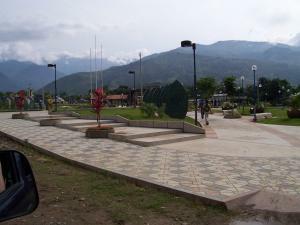 Macias had been a strong advocate of a militarized eradication in the region, which produces more than half the country's coca crop and is also home to remnants of the Shining Path. Critics had warned that an aggressive eradication campaign would only help such rebels. Uruguayan Presidential Candidate Who Vowed to Undo Marijuana Legalization Loses in Primary. "We are going to overturn this law that legalized marijuana growing. Nobody plant anything! Don't plant anything because we're going to knock it down!" National Party presidential nomination favorite Sen. Jorge Larranaga said ahead of Sunday's primary election to see who would get a chance to succeed outgoing President Jose Mujica. But instead, Larranaga lost in a surprise outcome. Thousands March for Marijuana Legalization in Chile. Thousands of people marched through the streets of Santiago, the Chilean capital, Sunday in support of marijuana legalization. "Don't drive and drive, smoke and fly!" read one sign. Much open marijuana use was reported. Demonstrators demanded decriminalization and legalization, specifically including the right to grow their own. New Bermuda Premier Says No to Marijuana Legalization, But Leaves Door Open for Decriminalization. Incoming Bermuda Premier Michael Dunkley said last Friday his administration has no plans to legalize marijuana, but could get behind a decriminalization scheme. Dunkley's comments came during a debate on the findings of the Cannabis Reform Collaborative, whose report earlier this month called for medical marijuana, decriminalization, and eventual legalization. "I think it is important to reiterate that the government's public undertaking has related to decriminalization and any potential wider use of cannabis," Dunkerly said. "Let me indicate early in this debate that at this time, the government is not prepared to consider personal cultivation, licenses for commercial cultivation and sale or blanket legalization of cannabis. In so far as this report recommends those things, they do not represent this government's current intentions." Michigan Poll Has Support for Legalization at 42%. A Detroit News/WDIV-TV poll released today has support for marijuana legalization at 42%, with 52% opposed. The poll conducted by the Glengariff Group of Chicago surveyed 600 voters. It has a margin of error of +/ -4%. "There is a sharp difference in attitudes on marijuana legalization among voters under and over the age of 40," said pollster Richard Czuba. "And while Democratic voters support legalization of marijuana, independents and Republican voters strongly oppose legalization." Click the link for more demographic details. Washington, DC, Initiative is Sweating the Signature-Gathering. Organizers of the DC initiative to legalize the possession and cultivation of small amounts of marijuana -- but not the legalization and regulation of marijuana sales -- are "a little nervous" about the progress of their signature-gathering campaign. They have until July 7 to collect 22,373 valid voter signatures. They had collected some 19,000 raw signatures by Monday, but of the 16,734 that have been processed, only 5,360 have been found to be valid. Delaware Decriminalization Bill Filed. Rep. Helene Keeley (D-Wilmington) today introduced a decriminalization bill, House Bill 371. It would make possession of up to an ounce a civil offense with a maximum $100 fine for people 21 and over. Currently, possession is a misdemeanor punishable by up to six months in jail. Minnesota Governor Signs Medical Marijuana Bill. Gov. Mark Dayton (DFL) today signed into law the medical marijuana bill approved earlier this month by the legislature. It allows for eight distribution centers across the state to by supplied by two medical marijuana manufacturers. The bill does not allow for the smoking of medical marijuana; but it can be vaped or eaten. Some medical marijuana groups are calling the law "overly restrictive." California Senate Approves Medical Marijuana Regulation Bill. The state Senate yesterday approved Senate Bill 1262, sponsored by Sen. Lou Correa (D-Anaheim). It is supported by cities and law enforcement, and would impose tighter controls on dispensaries, cultivation, and recommending. A competing bill, Assembly Bill 1894, sponsored by Assemblyman Tom Ammiano (D-San Francisco) was expected to be voted on today. If both pass their respective houses, look for a compromise. Congress Set to Vote Today on Four Amendments to Reign in DEA. Congress is set to vote today on at least four amendments aimed at reigning in the Drug Enforcement Administration (DEA). One would prohibit DEA from interfering in states that allow medical marijuana; another would prohibit it from blocking hemp seed imports in states that have approved hemp research; a third would prohibit it from undermining state laws that allow for hemp cultivation; and a fourth would reject a proposed $35 million increase in the DEA's FY 2015 budget. Today's Heroin Users Are Mainly Young, White and Not in the Big City, New Study Finds. A new research article published in the Journal of the American Medical Association finds that, unlike the heroin boom of the 1960s, most heroin users today are young white men whose opiate habits overwhelmingly started with prescription pain pills. "Our data show that the demographic composition of heroin users entering treatment has shifted over the last 50 years such that heroin use has changed from an inner-city, minority-centered problem to one that has a more widespread geographical distribution, involving primarily white men and women in their late 20s living outside of large urban areas," the authors concluded. Minnesota Prosecutor "Sending a Message" Charges Five Teens With Murder in Teen Girl's Overdose Death. Washington County Attorney Pete Orput has charged five local teenagers with murder in the January death of a 17-year-old girl who died after taking a new synthetic hallucinogen. "We think there's a moral obligation to keep kids free of drugs," said Orput. "We're sending a message that suppliers will be held fully to account." Those charged include a 19-year-old, an 18-year-old, and three 17-year-olds. Orput said the three minors will be charged as adults. The 19-year-old is accused of being the dealer; the others bought some of the drug and shared it among themselves and the dead girl. Customs to Curtail Searches of General Aviation Aircraft Not Crossing Borders. After loud complaints from private pilots that their domestic flights were being searched for drugs by Customs agents, the Customs and Border Protection agency (CBP) has announced it will curtail the searches. An official told National Public Radio yesterday that "his agency has heard pilots' grievances and the program is being altered so as not to needlessly affront law-abiding pilots." The Airline Operators and Pilots Association has been raising a stink about the issue for the past year, saying it has received more than 50 reports from members who recounted their encounters with law enforcement at airports. Georgia SWAT Team Throws Flash-Bang Grenade, Burns Toddler in Drug Raid. A 2-year-old child was burned when members of the Habersham County Special Response Team deployed a "distraction device" as they executed a drug search warrant early yesterday morning. The raid came a day after a snitch made a drug buy at the home and reported no children present. The raiders got themselves a no-knock warrant and breached the door of the home. "What had happened was there was a playpen -- a Pack N Play -- that was pushed up against the door, and when they breached the door it wouldn't open up because of the Pack N Play," Sheriff Joey Terrell said. "It was just wide enough to toss the flash bang in, then they had to physically push it [Pack N Play] on out of the way to get in. That's when the team medics saw the child, stopped at the child, took the child out and began first aid. "The door that we entered was the door that we bought dope out of -- that's why entered at that door," Terrell said. "Our team went by the book. Given the same scenario, we'll do the same thing again. I stand behind what our team did," he maintained. He blames the target of the warrant. Read the whole story at the link. 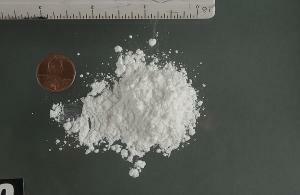 California Senate Approves Bill to Eliminate Crack/Powder Cocaine Sentencing Disparity. The state Senate Wednesday approved a bill that would equalize the penalties for crack and powder cocaine sales and make it easier to get probation for either. The measure is Senate Bill 1010, introduced by Sen. Holly Mitchell (D-Los Angeles). It now goes to the Assembly. Peru Names Former Defense Minister as New Drug Czar. President Ollanta Humala has named former Defense Minister Luis Otorala as the new head of the Peruvian anti-drug agency, DEVIDA. He replaces Carman Masias. Otarola said that while eradication of coca crops will continue, greater emphasis will be placed on economic alternatives for farmers. Hardline critics said the move and the new emphasis "showed a weakening in the resolve of the government" to confront the drug trade. Peru is once again the world's leading coca and cocaine producer. Medical Marijuana Bill Introduced in Philippines. Rep. Rodolfo Albano III has filed a medical marijuana bill in the Philippine legislature. House Bill 4477, the Compassionate Use of Medical Cannabis Bill, is intended "to provide accessible, affordable, safe medical cannabis to qualifying patients." British Columbia Supreme Court Grants Injunction for Heroin Treatment Study to Continue. Canada's BC Supreme Court today granted an injunction for an exemption from federal drug laws for participants in the SALOME study (The Study to Assess Long-term Opioid Maintenance Effectiveness). The injunction will allow doctors in the study to continue prescribing heroin to patients for whom other treatment options have been ineffective.